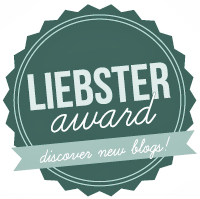 Miniature Maven Diaries: I won the Liebster Blog Award! Audra is my lovely friend who writes the thought provoking blog Through The Ever Changing Lense. She has awarded me the Liebster Blogging award, and I am very pleased and proud. She includes quotes (one of my favorite things!) and thoughts about the writing life, as she is working on her second novel. When you are awarded the Liebster award, you must do several things. I've seen the rules vary slightly on different blogs, but it doesn't bother me! contact my nominees to let them know that they've been nominated. I am nominating these five wonderful bloggers! Maureen, of St. Albert Mini Maureen is what I call a quiet force of good. She has been a winner of the wiki mini treasures award for two years in a row because of the amount of content she has added to the site ( a boon for those new to miniatures) and the first year she was nominated she didn't even know until I told her! She doesn't add to the pages expecting recognition or acclaim. She simply wants to help out beginners. I have been a lucky recipient of her kindness, generosity, and mini knowledge. Not only a fellow Canadian but also a member of the Miniature Enthusiasts Club of Edmonton. Marissa of Steinworks Blog. Marissa became a friend through email last winter when I had the worst neighbour of all time. (Think you had a worse one? I dare you to prove it. I got ourse evicted but it took time.) My Papa was dying at the same time and Marissa's emails kept me going. We created a hilarious narrative describing my horrible neighbour which also features some of her more odious coworkers. Marissa's miniature scenes are brilliant and the narrative style on her blog is witty and self deprecating, it keeps her followers coming back for more. Sarah of Amber's House. She is a newbie Miniaturist Blogger whose blog is full of tutorials. She is obviously a very talented miniaturist. My dear friend Michelle. We went to highschool together and both started our blogs around the same time so we became each other's first followers. The subject matter of our blogs is quite different. Her blog Growing Patience, Dreaming Big was about her incredibly brave struggle with infertility. Her fertility doctor gave her a 3 % of conceiving a second child. I gave her a big pep talk and reminded her that doctor's are not God's nor can they predict the future. I am very happy to say she delivered a healthy baby girl in February. I'm giving the nursury roombox I've been working on and off since last fall to her to her in August. I can't wait to get to Calgary so I can meet baby Nyah in person, and visit my beloved friend Michelle and deliver her roombox. We were a huge support to each other as I strived to believe in my dream (making money at making miniatures) and she strived to achieve hers. Brini's Doll DomainBrini's Doll Domain is Fun, Modern and Fabulous! She writes solely about black dolls, as a celebration of her own Ethnicity, which I think is pretty frickin' cool. Stop by for her frequent posts that include pictures of dioramas she set up, complete with dialog! Brini's huge heart and willingness to feel life's deepest emotions and move through them is what first drew me to her blog. I liked what I read, now I'm a fan! Two Lillies and Fairies: a Tale of Minis I love the concept behind Chris' blog, which she started up not too long ago. She and her sister and niece are all blogging together as their Lily is slowly being built. They are separated by 3,750 miles. I know I'm looking to forward to following along with them on their adventure. 1. If you could list just 3 things that make you happy, what would they be? 2. Would you characterize yourself as more of an extrovert or an introvert? introvert with a very silly side and a very bawdy sense of humour who is also a blabbermouth around my closests friends, so remember all introverts are definitely not quiet, sweet and innocent3. What has been your greatest challenge in life thus far? 4. If you enjoy reading, what are your favorite book genres? I can't narrow it down to a genre because I read such a wide variety and it changes from year to year. I enjoy mysteries, fantasy novels, some science fiction a lot of non fiction on any topic that grabs my attention like gender studies, autobiography, addiction, soap making, spirituality, economics, birth order, you name it, I've probably read at least an article about it! 5. Is the glass half-empty or half-full? I strive for half-full, but it's a struggle6. Who has inspired you most? Can't pick just one person. Martha Beck, who wrote the searingly honest memoirs Leaving the Saints and Expecting Adam. 7. Where is home for you? I feel like I'm still searching for a home. We've lived in Edmonton since 2000. It is home in many ways. Calgary, my own home town, is a fun place to visit, but it's not home anymore. I think we'll probably move again and settle somewhere else since my husband has a Forrestry Degree, and we're just waiting for the Housing Industry in the states to bounce back so that he can find a Forrestry job in Canada (Exporting lumber to the U.S. comprises the majority of the Canadian Forrestry Industry). 8. When was the last time you cried? Just now. I was talking to my Dad on the phone. 9. When was the last time you laughed? This afternoon. Talking to my friend on the phone. We were joking about how most men need very specific step by step explanations whereas women are much more intuitive. If you sound angry or sarcastic they will immediately say, "What's wrong?" Heck, they don't even need to hear you say anything! They can tell by the look on your face. 11. How would you spend your last day on Earth if given the opportunity? I would spend the day with my closest friends and family (including my husbands, I love all of them.) I would share special times with those closest to me. We would eat marvellous food. We would be right on the ocean. 1. What's the first thing you do up each morning? 2. Last thing you do before going to bed? 3. What keeps you sane? 4. What drives you crazy? 6. What couldn't you live without? 7. If you could relive one day of your life, what would it be? 8.If you could travel anywhere in the world, where would you go and why? 9. If you had enough money to build your dream house, what would it be like? 10. What's your favorite holiday? Okay, I have to say, that whole process took a lot longer than I expected! It was hard to find blogs with less than 200 followers, and get in touch with my choices for nominees! After two (or three days of waiting to publish this post, I haven't heard back from some of the blogs I nominated, but I don't think they'll mind getting an award, and if they do, I don't mind taking down the links to their blogs and choosing someone else. Do I overthink every little decision and over analyze things way too much. Why yes, I believe so. If I knew how to stop, boy would I ever. Actually, I am actively searching for strategies for how to stop, I'm even getting referred to some group therapy regarding this exact subject. Well, I am completely bushed and headed for bed. Thanks Wyrna. I'm sending you big hugs and kisses that will reach all the way to Denmark :) This blog has kept me sane and given me something positive to focus on during a very difficult year. You've always been one of my biggest fans. To my friends I call you and Drora the two Grandmothers because you are so lovely and supportive! Congratulations, Ruth! How wonderful! And thank you so much for thinking of, nominating, and mentioning my sister, niece, and me. I feel honored. Hi Ruth! My sincerest congratulations as well! You are so wise and funny! I always enjoy reading your entries because you put yourself into each entry. I shall have a browse around at the other blogs you've nominated, although Maureen and Chris, Marissa and Sarah are already great favorites of mine! Once again Ruth, Congtats and Good on Ya! I was saying to a friend the other day, that I probably have a more intimate writing style than any other mini blogger I know, but I think that's what makes my followers love me (so modest, In the past, when I had my encounter with the mean girls, I kept my feelings to myself, I tried so hard to please them, I don't think i was even aware of my own feelings half the time. When they ditched me I figured why not be totally honest because I had nothing left to lost. Best decision I have ever made! And I don't miss those ridiculous girls (I will never call them women because they behaved like 11 year olds) at all.